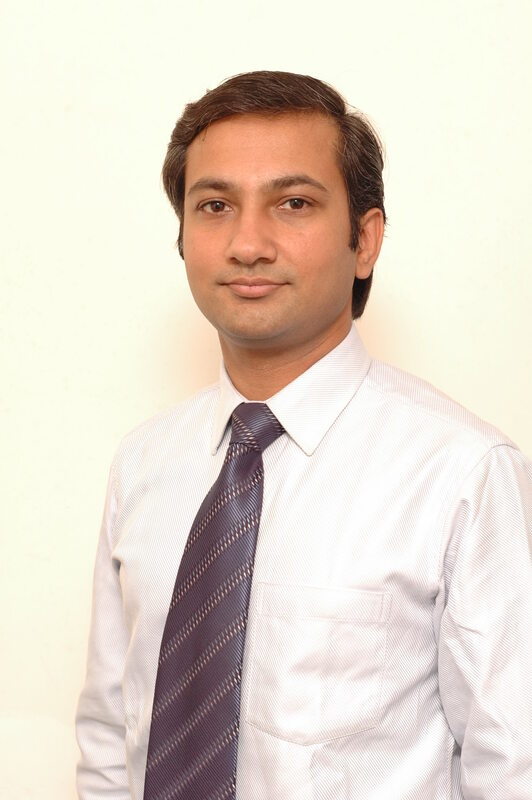 Dr. Rajeev Khanna joined the department in July 2011 and has contributed significantly to the growth of the department, on account of his diligent work and enthusiasm. His interests include pediatric portal hypertension, Wilson disease, acute liver failure, neonatal cholestasis and viral hepatitis. The department has received national and international acclaims on account of his academic work. He believes in a team-work model; acknowledging and promoting others who have contributed towards his achievements. He is an active member of the Echo program initiated by the Institute, and delivered talk related to pediatric hepatology via tele-conferencing on several occasions with active involvement of pediatric residents and faculty from various medical colleges. Invited talk on “Non-cirrhotic portal hypertension – Recent advances” at APASL 2018 held on 14-18th March, 2018 at New Delhi. Invited talk on “Child with hepatomegaly and hypoglycaemia” at PEDGASTRO UPDATE 2018, Chennai on 1st July, 2018. Invited talk on a “An adolescent girl with Autoimmune hepatitis – Cytopenia on treatment” at the annual conference of the Indian National Association of Study of Liver (INASL) held at Hotel Pullman, New Delhi on 2nd-5th August, 2018. Invited talk on “Liver diseases and Malnutrition in children” at the PEDNUTRICON conference held at Kalawati Saran Children Hospital, New Delhi on 8-9th September, 2018. Invited talk on “Non-invasive markers of liver fibrosis in children” at the Annual conference of ISPGHAN held at Mumbai on 26-28th October, 2018. Lecture on “Late acute rejection in children” at First National conference of Liver Transplant Society of India (LTSI) held at AIIMS, New Delhi on 17-18th November, 2018. Invited talk on “Recent advances in management of cholestatic pruritus in children” at Pediatric Gastroenterology and Hepatology update on 8-9th December, 2018. Gut-Liver axis in Pediatric Portal hypertension. Prognostication in Pediatric acute liver failure. Diagnostic and prognostic utility of Transient elastography in infants and children with liver disorders. Prevalence and natural history of endoscopic findings, variceal and non-variceal bleed and related comorbidities in infants and children with cirrhotic and non-cirrhotic portal hypertension. Pediatric hepatocellular carcinoma – Spectrum and outcome. Portal biliopathy in children with non-cirrhotic portal hypertension. “Atlanta classification for severity in acute pancreatitis – Is it applicable in children?” Invited talk at 3rd Annual conference of Indian society of Pediatric Gastroenterology Hepatology and Nutrition (ISPGHAN) held at Kolkata on 23-25th September, 2016. “Liver biopsy in children – Indications, contraindications, prerequisites and complications”. Invited faculty for a workshop on Pediatric Gastroenterology Interventions held at Mahatma Gandhi Hospital in association with ISPGHAN and IAP Jaipur on 24th April, 2016. “Approach to childhood chronic liver disease”. Invited talk given on 5 occasions from May to November, 2016 at Echo sessions organized by the Institute of Liver and Biliary Sciences (ILBS) with involvement of 25 medical colleges from different parts of country. Attended as faculty and chaired a session as a panelist on "Panel discussion on Chronic liver disease" at PEDGASTROCON 2012, 22nd National Conference of Pediatric Gastroenterology, Hepatology and Nutrition at SGPGI, Lucknow on November 2-4, 2012. Panelist - International Symposium on HCC titled "Management paradigms for Hepatocellular Carcinoma: Current and Future" April -8, 2012 at New Delhi. Presented an interesting case of "6 year old child with Portal Hypertension" in Liver clinics at ISGCON 2012, Annual Conference of Indian Society of Gastroenterology at Jaipur from November 29-December 2, 2012. Poster presentation on "Hepatocellular carcinoma in an adolescent with celiac disease" at International Symposium on HCC titled "Management paradigms for Hepatocellular Carcinoma: Current and Future" on April 7-8, 2012 at New Delhi. Oral presentation on "Transient elastography accurately predicts fibrosis & complications of portal hypertension in children" at PEDGASTROCON-2012, 22nd National Conference of Pediatric Gastroenterology, Hepatology and Nutrition held at SGPGI, Lucknow on November 2-4, 2012. Oral presentation on "Low uric acid is an important biochemical clue for the diagnosis of Wilson disease" at PEDGASTROCON-2012, 22nd National Conference of Pediatric Gastroenterology, Hepatology and Nutrition held at SGPGI, Lucknow on November 2-4, 2012. Paper won first prize in Liver section in oral papers category. Poster presentation on "Congenital portocaval shunt - Abernethy type 1 b malformation with ductal paucity, cholestasis, hepatopulmonary syndrome and developmental delay" at PEDGASTROCON-2012, 22nd National Conference of Pediatric Gastroenterology, Hepatology and Nutrition held at SGPGI, Lucknow on November 2-4, 2012. Poster presentation on "Protocol based diagnosis and management of Metabolic liver disease" (poster) at ISGCON 2012, Annual Conference of Indian Society of Gastroenterology, held on November 29-December 2, 2012 at Jaipur. Won the best poster award. Delivered a lecture on “Liver abscess in children – Changing paradigms” at PEDGASTROCON 2013 at Pune on 29-30th September, 2013. Delivered a lecture on ‘’Scope and growth of Pediatric Hepatology as a super-specialty” at Silver Jubilee Conference at Sanjay Gandhi Institute of Medical Sciences (SGPGIMS), Lucknow on 14-15th December. Presented as oral paper “Low uric acid as a biochemical clue for the diagnosis of Wilson disease” at European Society of Pediatric Gastroenterology Hepatology and Nutrition (ESPGHAN) London 2013, at ESPGHAN on 11th May, 2013.